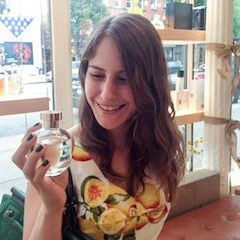 I am a little too excited to bring back an older Scents of Self feature: Ask Ari, the perfume advice column! First up is a very, very real submission that I definitely did not make up. If you have any perfume etiquette questions of your own, please feel free to submit them for future columns so that Kanye does not have to sue me. Choosing the right fragrance manufacturer is critical in creating a fragrance worthy of Definitely Not Kanye West. Most of your celebrity counterparts choose mass-market companies like Coty or Proctor & Gamble. The end result is usually bland and boring, which is why most celebrity scents only last a season or two on department store shelves. They might make their namesake celebrity some money in the short term, but your reputation will be cheapened in the long run when they end up in the Walmart aisle. However, we’ve been seeing some smarter, more interesting choices from a few celebrities recently. The Olsen twins made a very respectable fragrance line for their Elizabeth & James brand through a direct partnership with Sephora, and Pharrell’s fragrance for Commes des Garcons was so well-received that it was picked up by prestigious retailers like Barney’s and Luckyscent. Ask Ari recommends that you follow in their footsteps rather than in Kim’s, especially since her fragrance line was infamously dropped by Sephora after violating their exclusivity clause. Ask Ari would also recommend that you avoid keeping up with Khloe Kardashian, at least fragrance-wise. Getting divorced a year after you and your husband released a fragrance named “Unbreakable” gives us perfume bloggers years of material! P.S. It was surprisingly difficult to find a picture for this post. Please take more pictures of yourself holding perfume bottles. I would also add that in the absence of a memorable fragrance, do not hesitate to have memorable bottle. For example, I would never put a Niki Minaj fragrance on my person, but I would gladly accept her entire collection because the bottles are hella scary (and unique). The best part about the Nicki Minaj bottles is that you have to TAKE OFF THEIR HEADS to spray. Like they weren’t already terrifying enough!